L-R: Lucy Ward and Claire Cook. Leicester commercial law firm, BHW Solicitors, has made two key strategic hires in the house-building and residential development legal sector. Lucy Ward and Claire Cook join the Grove Park-based firm having spent 16 years at Spearing Waite. Both Lucy and Claire bring with them an abundance of knowledge and experience in acting for housebuilders and developers from site setup to plot sales. The appointments coincide with the launch of BHW’s Developer Services department, headed by Commercial Property Partner, Ian Sanders. 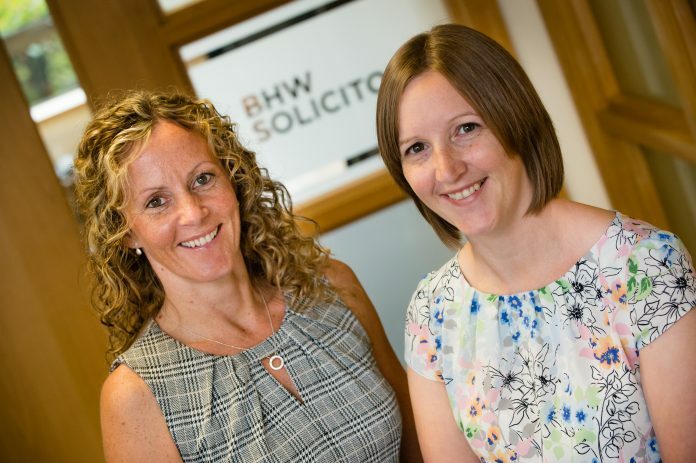 BHW Solicitors, which is currently celebrating its 15th year in business, now has 70 staff across its commercial services and residential conveyancing divisions, which includes a specialist New Build Conveyancing department.